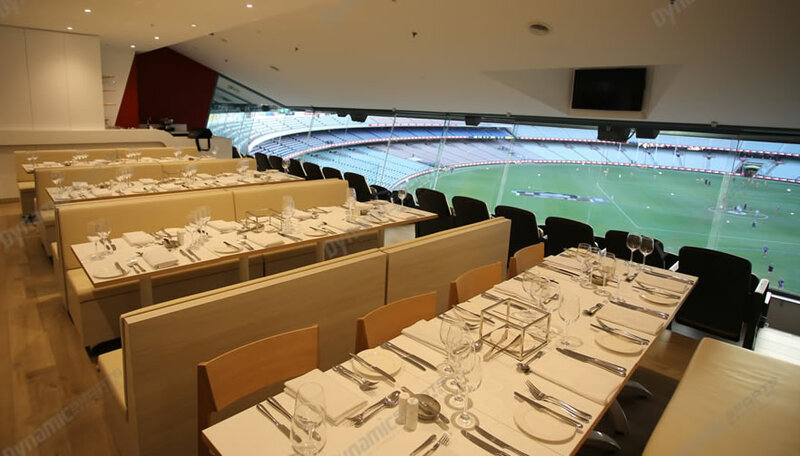 The Nissan Suite is the newest hospitality offering at the MCG. This sophisticated Suite has been refurbished for the 2017 season. 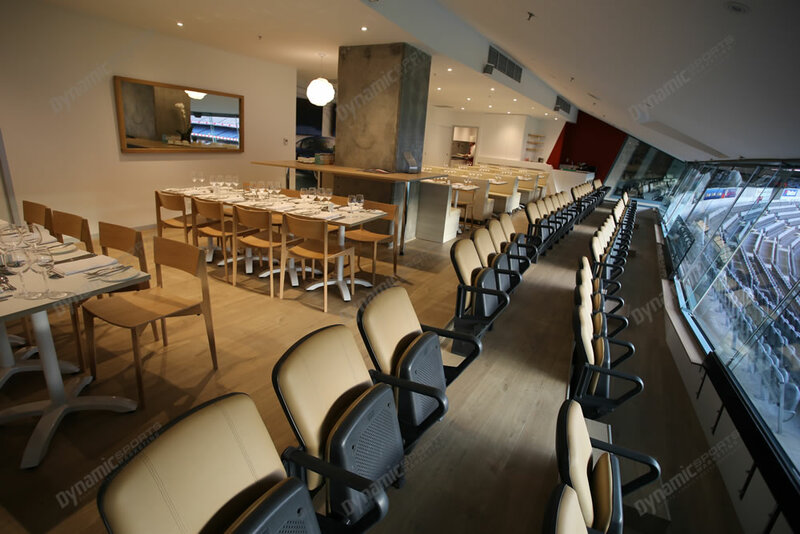 Featuring sweeping views across the playing surface, 6 tables holding 8 guests each, a reserved arm chair style seat and a premium food and beverage menu, this facility is perfect for entertaining your valued clients, or enjoying a game in style with family and friends. 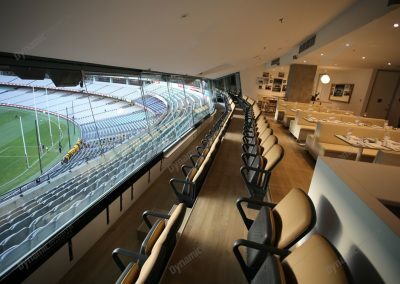 It’s perfect for smaller bookings when you don’t need 12 guests, the smallest Suite size at the MCG. 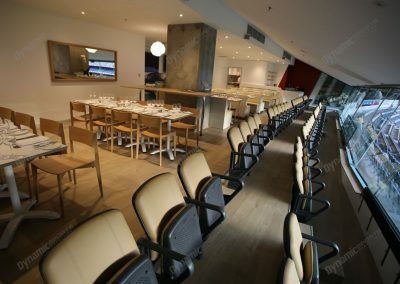 Or if you are looking to take a large group, the facility can be booked for 32 guests for non-blockbuster matches, or 48 for the big games. 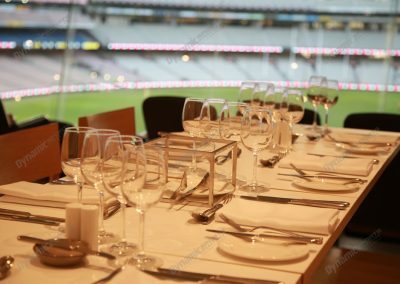 Your own table of 8 in the Nissan Suite with company signage. 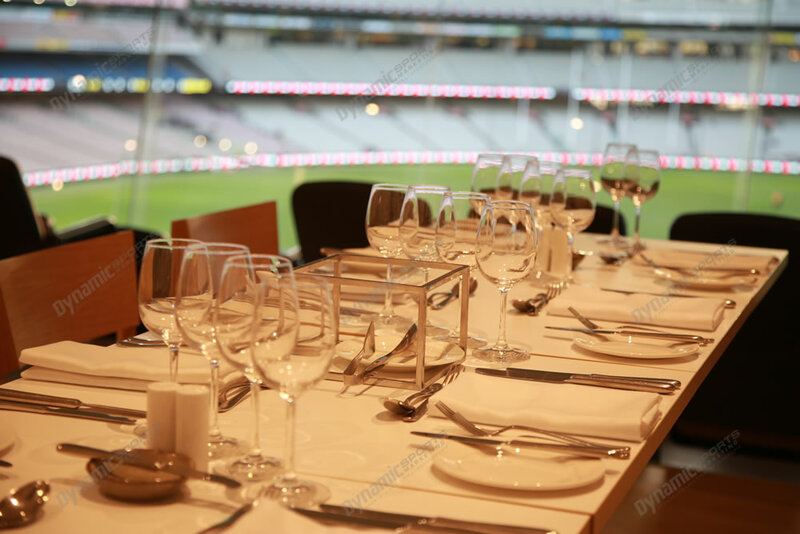 Beverage package including beer, wine and softdrink (spirits, cellared wines, champagnes such as Moet and Chandon can be purchased at additional cost).